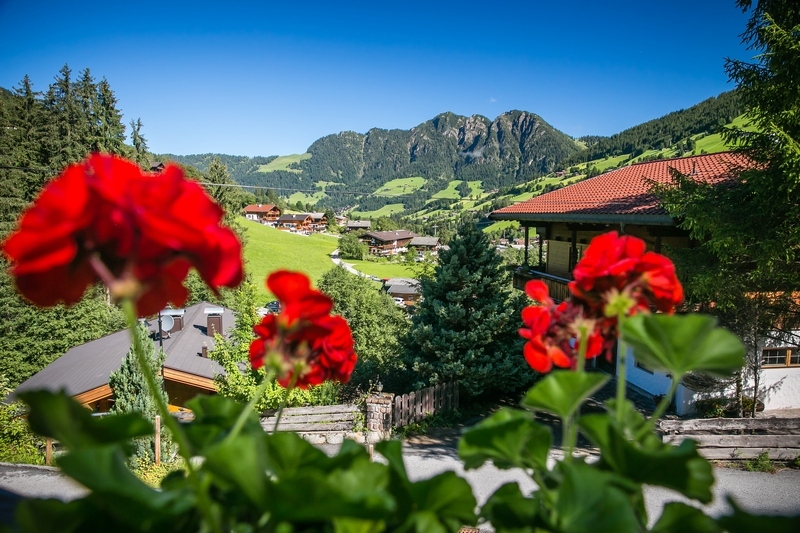 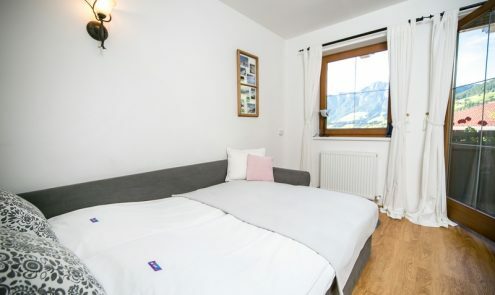 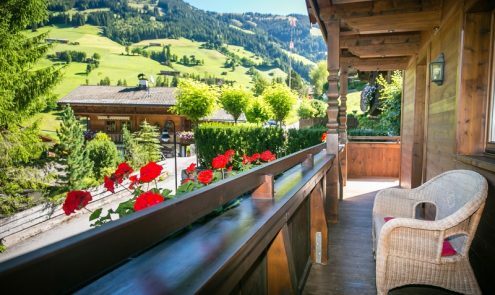 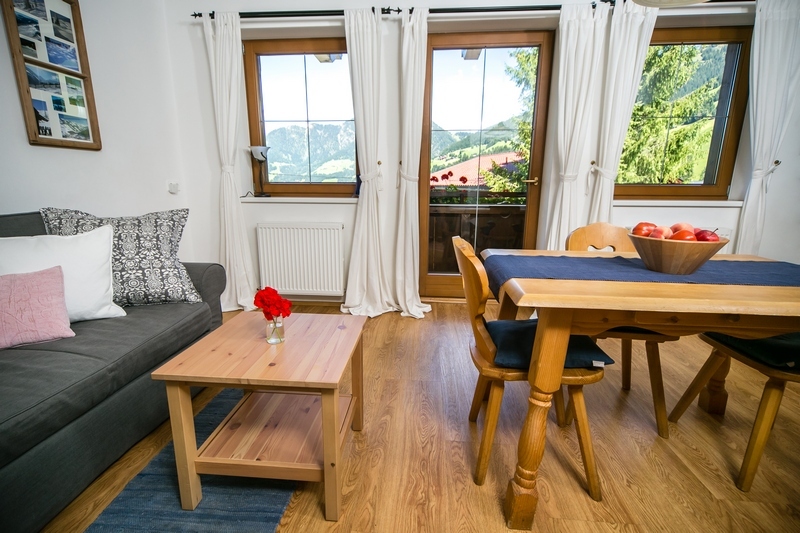 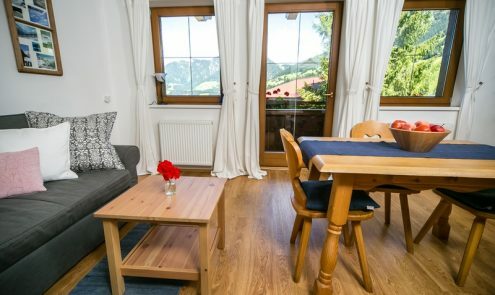 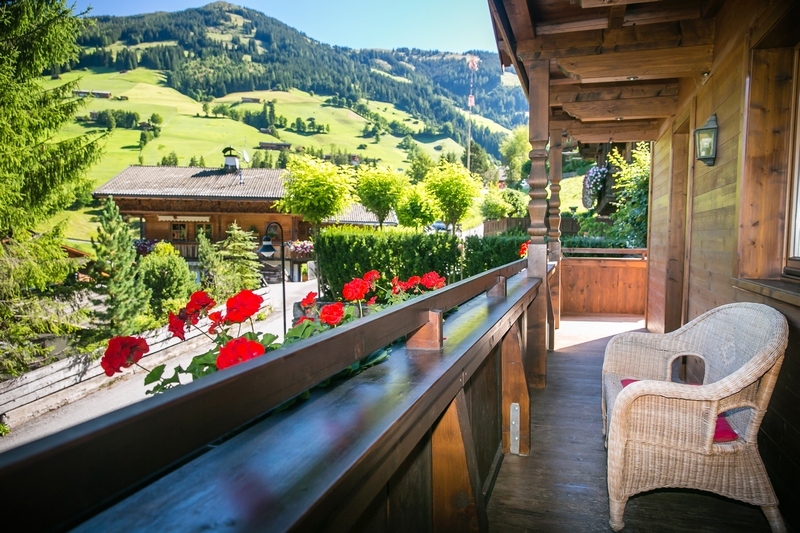 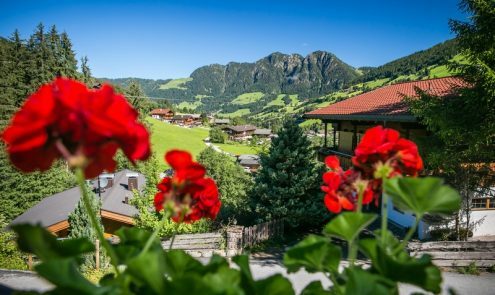 Apartment 3 is situated on the 1st floor and has superb mountain views of the Gratlspitz and Wiedersberger Horn. 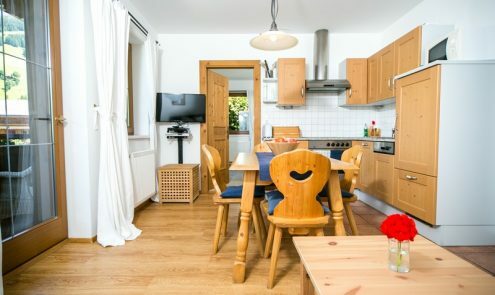 It can accommodate 2-4 people with kitchen, dining room/living room (with sofa bed), bedroom and bathroom with heated floor. 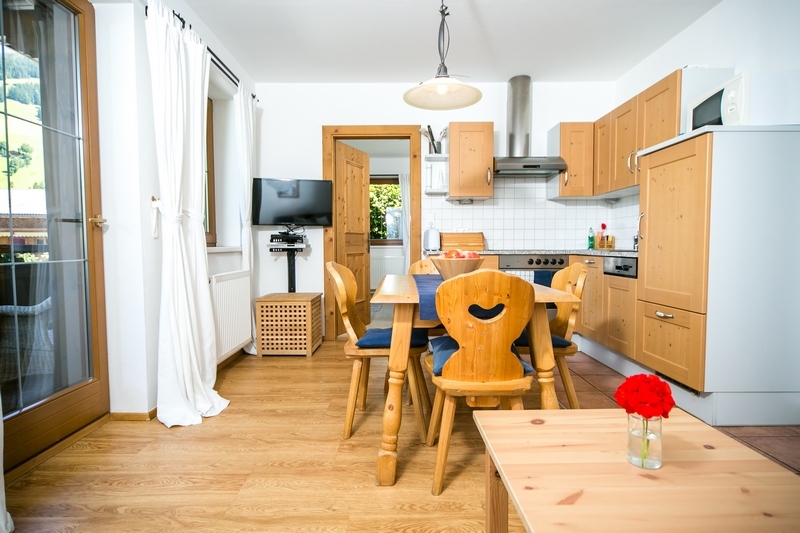 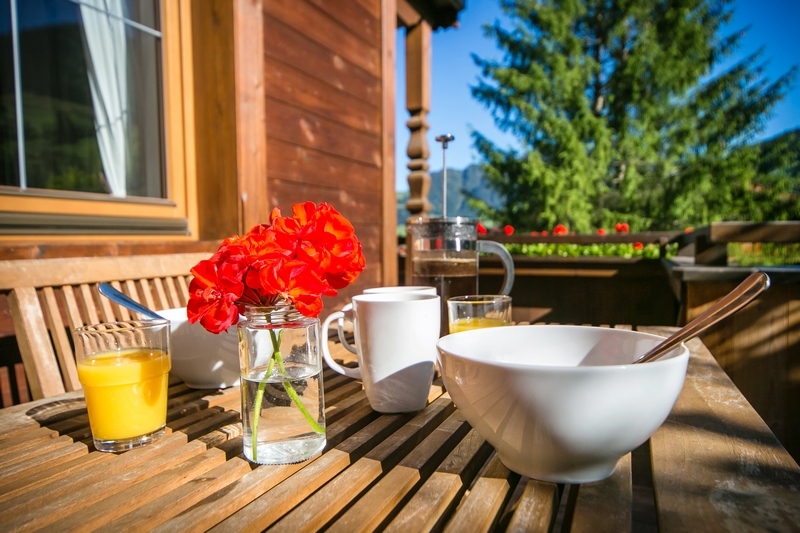 Tastefully decorated with modern facilities including TV,dishwasher and microwave. 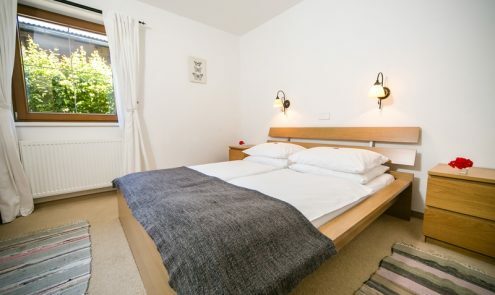 Bedroom – 2 beds and a sofa bed in the living room (sleeps 2-4 people). 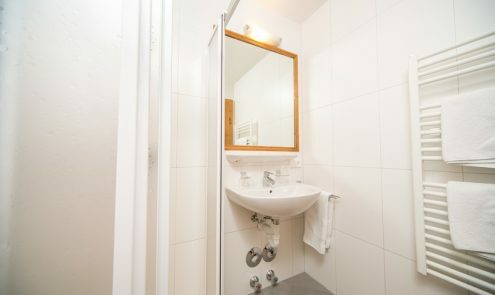 Bathroom – with heated floor. 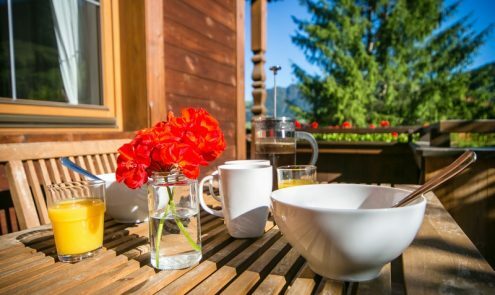 Sun Terrace – receives afternoon sun. 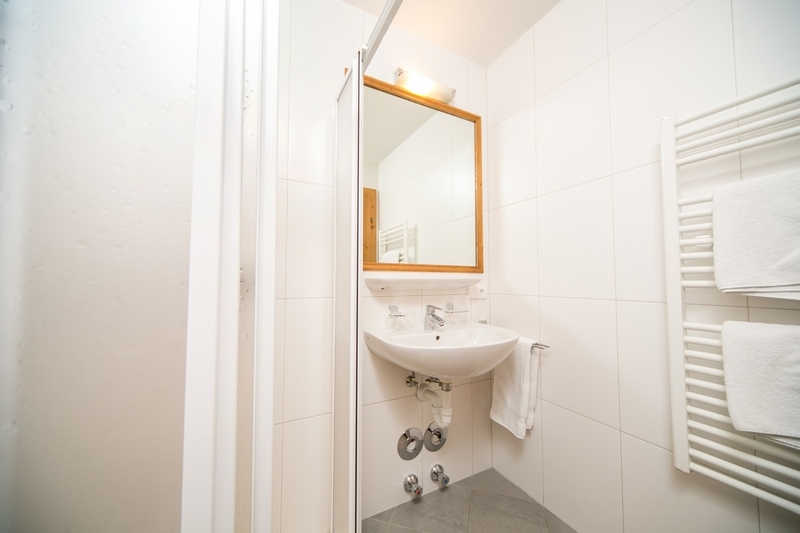 Apartment 3 is available for selected dates.